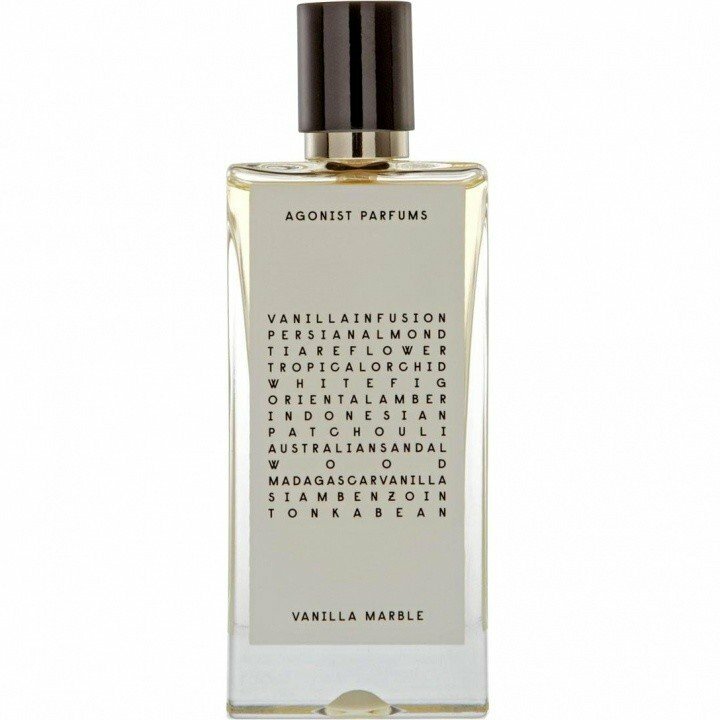 Vanilla Marble is a perfume by Agonist for women and men and was released in 2011. The scent is sweet-gourmand. It is still in production. Although this perfume is considered a unisex, I think it is more a woman'scent due to its sweetness. It starts by vanilla and ens up with vanilla. On my colour scale it is a yellow with a tinge of purple(I cannot say what could be purple in the list of ingredients). 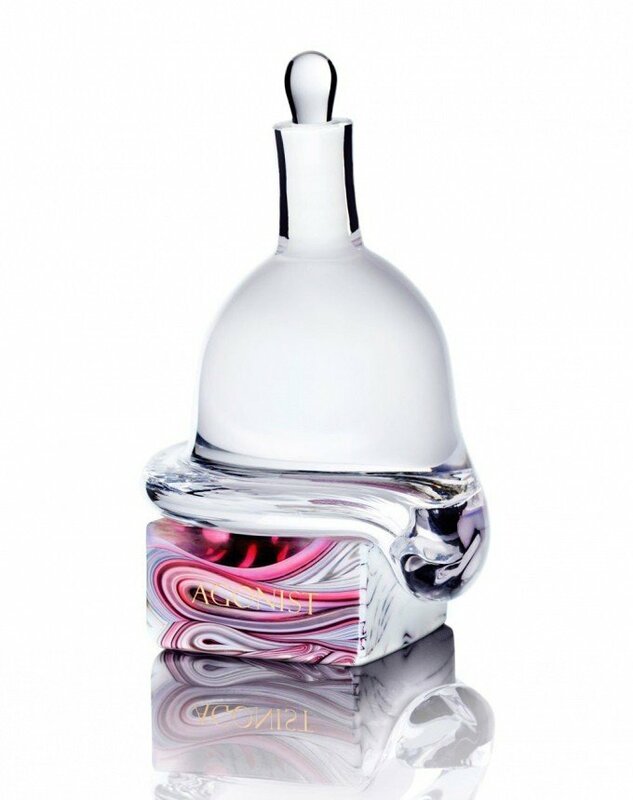 It is a linear scent, without sillage. It stays close to the skin and I think one can get a better result if sprayed on a scarf or on wool. Top Shelf vanilla just about sums this up. My sample was tested just before bed and it was a very good choice because this dreamy fragrance simply lulled me right to sleep. This is a comfort scent, made specifically for the sweet lovers in the house. Vanilla Marble is flirty enough to be worn on a lunch date on girls day out yet sophisticated enough to wear when you are planning to rock your come hither look. It seems that the Almond listed was used to spike the Vanilla up a notch and it worked. This is hard-core finely tuned Breyers. Yes, Breyers ... all natural ingredients. Waking up is morning, the sweetness had died down considerably leaving just a faint hint of the sweetness but not completely worn away. Either I slept through the sandalwood phase or maybe my oncoming cold intercepted my woods because I didn't get to enjoy the dry down. I highly recommend this fragrance to those who like to get their sweet on! Thank you Flacounner for January's giveaway. Write the first Review for Vanilla Marble!